Protect your hands during our adventures in the snow is very important, since it is through them where body heat escapes and the cold enters our body. For this reason it is recommended wear some gloves adapted to extreme conditions when we go to the mountain. There are actually a large number of athletes who believe that investing in this accessory is not worth if only they will go a few days a year to the snow. In fact, it is very common to see people with conventional gloves in the snow. However, from our perspective, we believe it is essential that whenever we go to sports in extreme conditions we have the suitable material. For this reason, at our discretion, gloves can not miss in our drawer for when we esquiemos or for when we go to snowboarding. What to keep in mind when buying snow gloves? But how are gloves for snowboarding? What do they have special and different from conventional gloves? There are several aspects that is advisable to take into account when making the purchase. Here we explain some of them. Joint mobility. 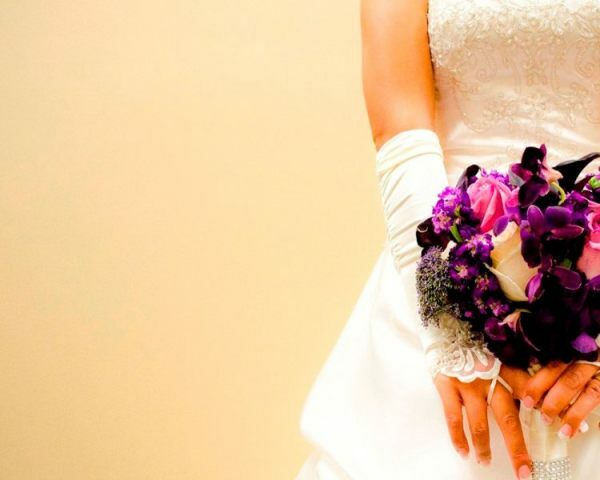 Ideally, that you do with gloves that offer you a good mobility, especially of your fingers. Today, most of gloves on the market have an ergonomic design so that it fits perfectly to the fingers, but without forcing the position of these. This allows you to enjoy them throughout the day and not to suffer no discomfort at the end of the day. Closing and adjustment. When it comes to attach gloves to hand latches are located in the wrist area. You can find it with velcro or zipper. It is recommended that you buy ones that don’t bother you and offer a secure attachment. In this regard, note that some models incorporate double seam: one in the wrist area and another in the area next to the forearm. Reinforcements. Many snow gloves feature a series of reinforcements to better resist wear. If you like gloves that will last you quite recommendable is to buy one with reinforcements. The parts that suffer most in this type of accessories are the Palm of the hands and knuckles. They are in these areas where there is more friction and contact elements, and where, ultimately, the material ends up damaged. Touch design. A few years ago, when they became fashionable smartphones, one of the main problems faced by skiers who used gloves is that they could not handle their mobile phone with them jobs. Now, as mobile devices have become a traveling companion essential for us, a lot of manufacturers of gloves have built-in the fingertips a conductive material that allows touch touchscreens with them jobs. In this way, already it won’t lack spend cold in your hands whenever we want to upload a photo to social networks, send a whatsapp or check our location on the map. 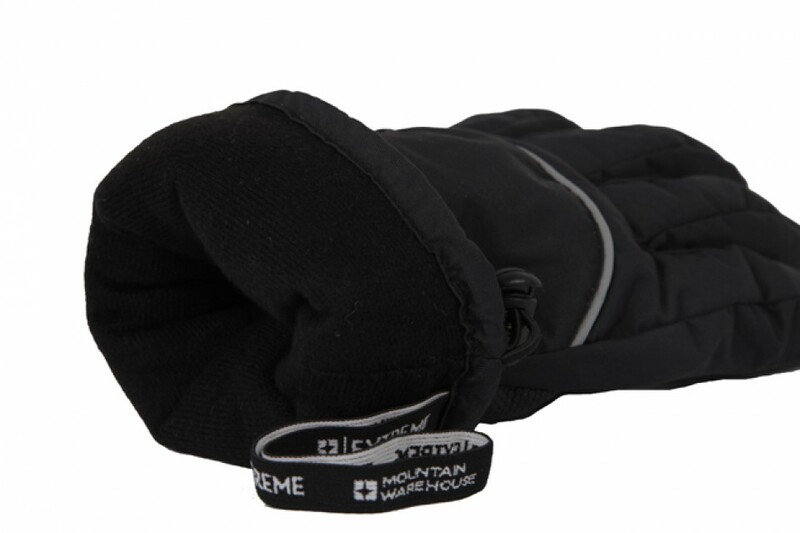 We must say that there are many similarities between the gloves of ski and snowboard gloves. Moreover, there are many lovers of these two sports that have only two modalities for gloves. Really on the market manufacturers design multi-purpose models that serve to everything, so there is no problem in using them for the two disciplines. In Terrenodeportivo.com we have developed a guide which we collect five best gloves snow cheap that you can find in the market. To do this we have done a review for over 15 brands and we are left with the products that we offer a mix of the best protection, design and technology. So, you do not wait any longer! We hope that this guide will be useful and have after reading it more clear which option is the best to protect your hands from the cold for snowboarding. Below are the top 5 cheap snow gloves, which can be found in BRIDGAT. As we always say when we speak of the Ultrasport company, their products always have something prepared to surprise the market. On this occasion, we find that these snow gloves include a system heated that hot hands at three different levels of temperature with single push of a button. This makes use of a lithium-ion battery charger-controlled. Charging the batteries is quick and simple. You only should connect the glove into the outlet through the adapter. This adapter shows the status of the load at all times. There are three configurable levels of temperature. First we find the Green led, through which the glove generates a temperature of about 37 ° C for 8 hours. The yellow led means that the glove generates a temperature of approx. 45 ° C for 4.5 hours, while with the Red led glove is heated up to approximately 53 ° C for 4 hours. The outside of the glove is constructed with Thinsulate. This material provides very good protection against the cold even in wet conditions. In addition, this material is lightweight and allows a great freedom of movement. On the other hand, note that the gloves are very breathable and keep sweat away from the inside hand, but without allowing the cold to push through the seams. This external part of the glove consists of three protective membranes. The first of these is water resistant and is in contact with the outside. 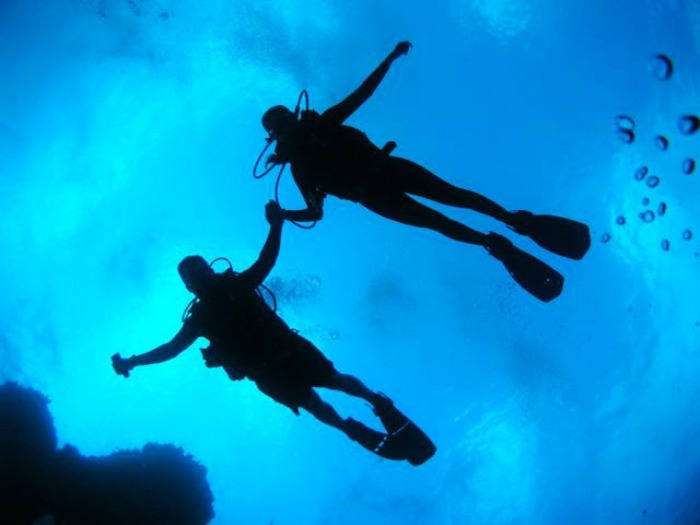 The second membrane, i.e., the intermediate, is breathable. 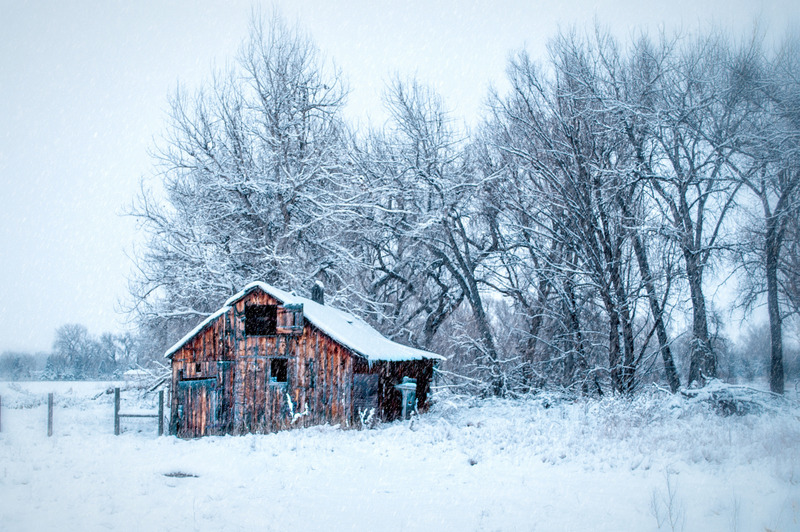 For its part, the third membrane is interior and protects from the cold. Three membranes allow to go cold towards the outside of the glove. For its part, first and second membrane are composed of a windstopper material to prevent wind from reaching hand. Therefore, they reduce the feeling of cold with the speed. Our guide with the best cheap ski gloves these gloves, which really are a very versatile when it comes to protecting our hands from the cold in the snow we already laid. 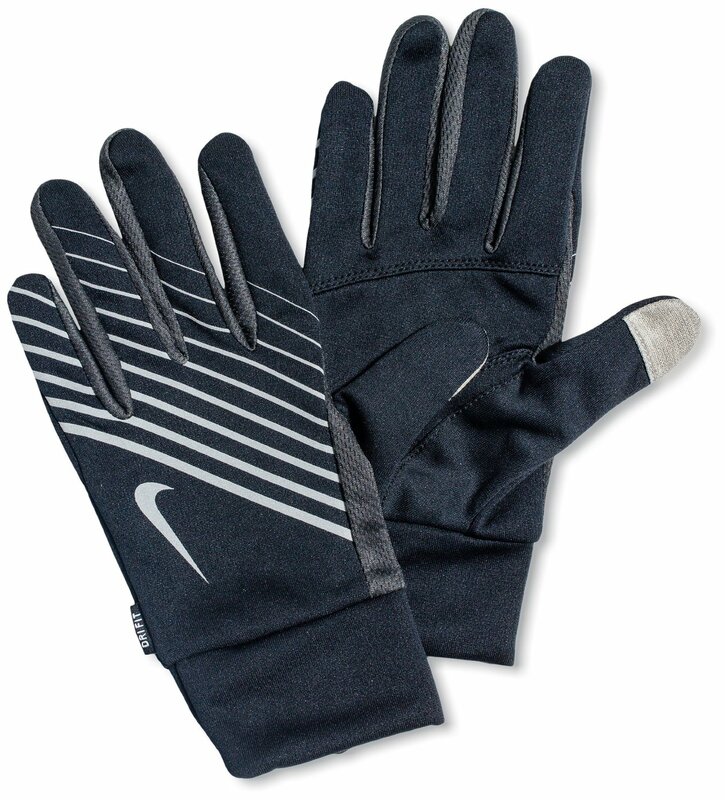 This model is one of the options preferred by athletes who want to keep their hands warm at all times. As usual when we talk about the North Face firm, all its products incorporate innovations and systems that are attractive to all kinds of public. Etip gloves are manufactured with the technology Radiametric Articulation. This technology is designed for ergonomic hands, which keeps them in a relaxed and natural position during sports. 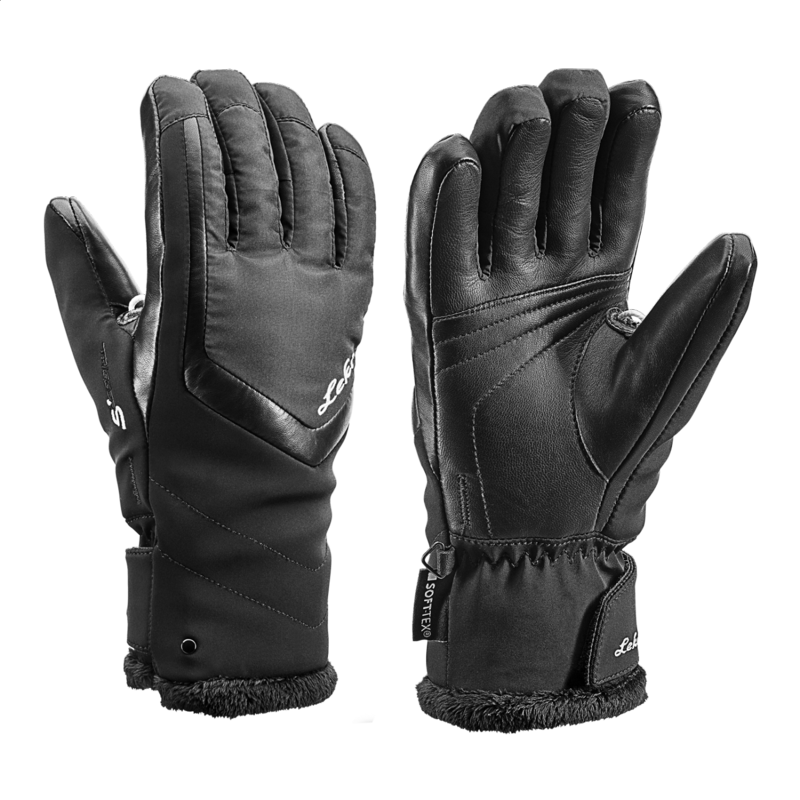 This system is very important since it allows to enjoy comfortable and nothing aggressive gloves with fingers all day. The Palm of the hand is made of a material of non-slip type which provides all materials excellent grip. This is, therefore, an advantage for those who want to hold firm their ski poles. But also to all those who go to the snow walking and usually use their walking sticks to walk better. As we said at the beginning of this guide, many manufacturers are concerned that their gloves can be used to touch the touch screen mobile. North Face did not want to be outdone and has incorporated the Etip conductive technology in the tips of the fingers. So with these gloves you can manage your mobile device without problems. This way you don’t have to leave your hands in the air if what you want is to take a photo with your Smartphone or if you have to take off the phone to look at your location on a map. Another important aspect of these gloves is that they are completely elastic and adapt perfectly to all types of hands. 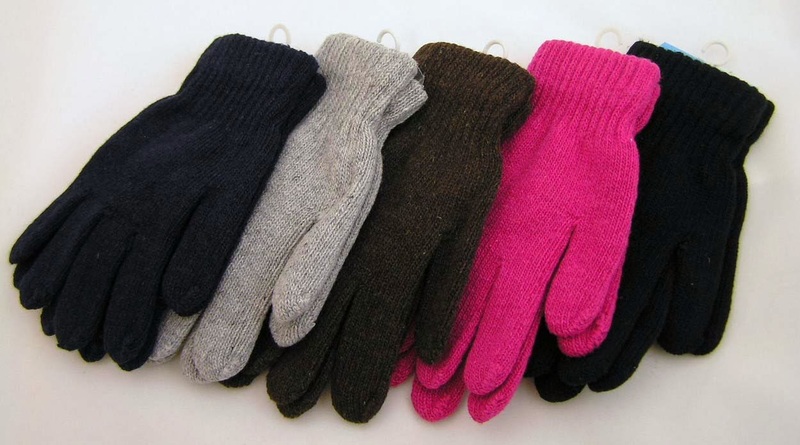 Gloves are manufactured with polar fleece with elastic in all four directions ability to fit them better in your hands. In relation to the materials with which they are made, the Outer fabric is made with fleece woven pique double point made up 93% polyester and 7% elastane. The part of the hand is also made with this material, although it incorporates conductive technology that we mentioned previously. LCZ is one of those brands that little is known to us, but which has offered us excellent results. We have seen it after having tried for a time his gloves for snowboarding. Firstly note that they have an outer coating of flannel of high quality that protects well against cold and wind. Gloves inside is soft and pleasant to the touch. Thanks to the windstop wind never comes to sink inwards. This has been achieved through the preparation of several layers of thermal material. To ensure durability of gloves, seams are reinforced with triangular stitch. In this way, the parts of gloves more prone to crack, such as openings of fingers or edges of the glove, held at all times together. 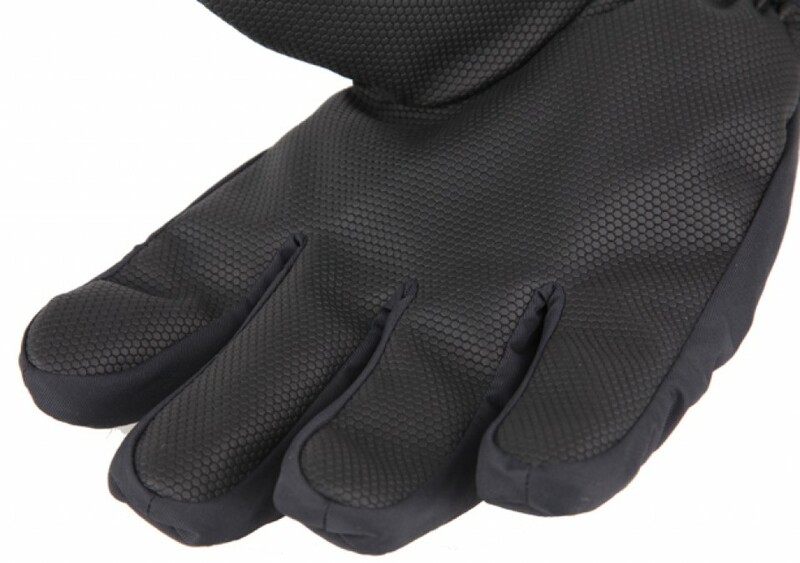 Note that the gloves also incorporate a reinforcement with non-slip material in the Palm of the hand. This reinforcement guarantee that if we take any object such as the phone or the camera while we practice snowboard, this will not fall off us in the snow. Finally, when it comes to storing them we find that gloves have two small hooks on the inside of the wrist to set one to another and always keep them United. In this way we avoid loss or that each of them is in a different site when it comes to save them. Burton is one of those brands that can never miss on our products for mountain guides. On this occasion we want to focus on protective cold Burton Spectre gloves. First highlight the elasticity of these gloves, a feature that allows you to fit them perfectly in all types of hands, regardless of the form and proportions. 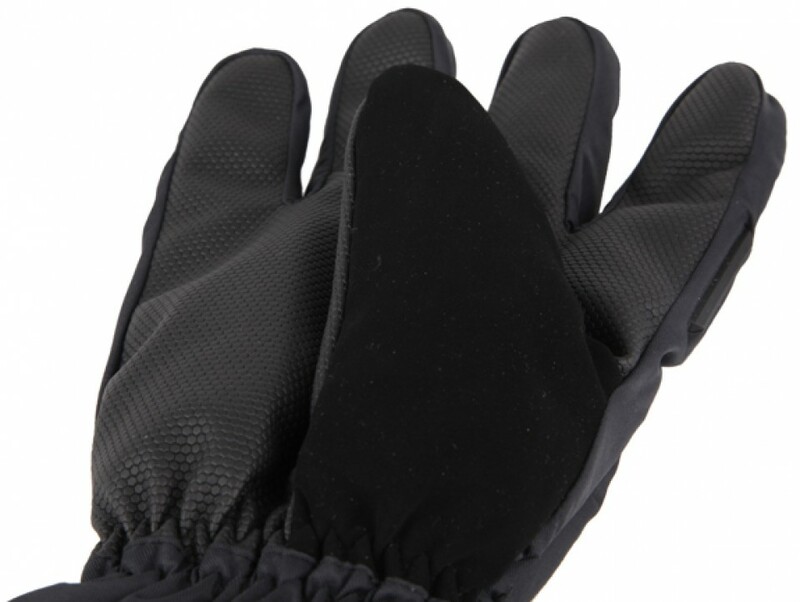 Closure of the gloves is via a velcro located on the wrist, allowing you to protect from the cold and snow hand inside. Close this part of the glove is very important, since it guarantees in case of falling snow not BREW out there. Burton Spectre gloves are also a waterproof model. Of course, in them protection from the cold is exquisite thanks to its exterior Microfiber tissue. 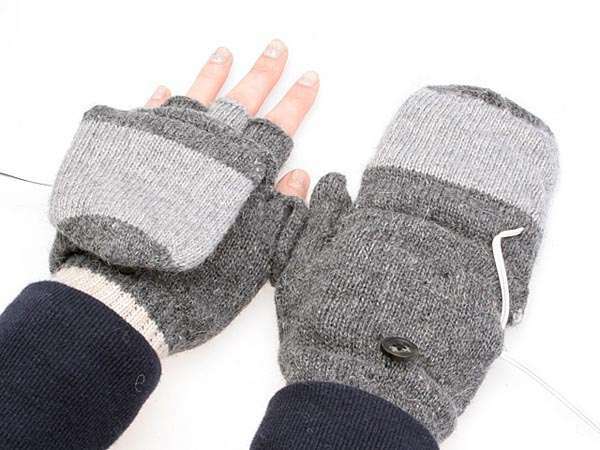 Moreover, we find inland gloves plush material that keeps your hand warm at all times. Another striking aspect is its design. The gloves offer several reasons, some psychedelic, while others have colors designs. DC is another one of those brands that you can never miss in our snow sports-related product guides. In the case of his gloves Antuco we find a model with a good thermal protection thanks to the thickness of 4 mm and the inside filling of lining that offers a pleasant and soft to the touch feel to put the hand on them. These gloves have a military design with details in Orange. The main difference in comparison with other models that we have analyzed in this guide is that they are shorter in the side of the wrist. In this area the closing is made by velcro, which offers a perfect fit for the diameter of the arm. Finally, we’d like to highlight that the Palm of the hand has a reinforcement of adherent material that allows you to easily grab all sorts of objects. 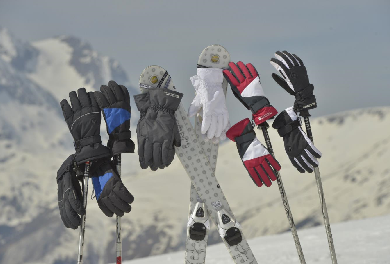 This makes these gloves a versatile option that we will also be very useful for skiing. Moreover, we find a conductive material that allows you to manage mobile devices through its touch screen without having to remove the glove at the tip of the index finger.